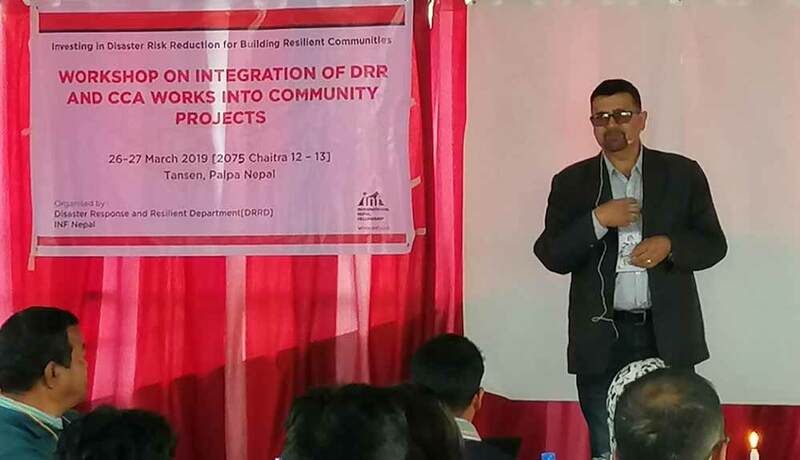 These workshops were conducted with close coordination and collaboration between INF Nepal’s CHD and Disaster Response and Resilience Department [DRRD] with the participation of 68 experienced and enthusiastic INF Nepal staff and two external facilitators. 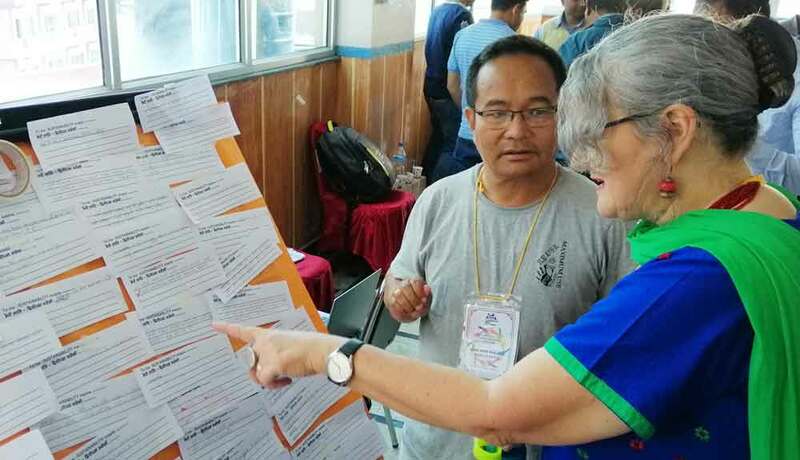 This workshop was really a good opportunity for the INF staff from different districts working in different projects to come together on common ground to learn and share their experiences from their projects to lead those projects toward sustainability and find the best ways to integrate the CCA and DRR into the community projects in the future as a cross-cutting issue. 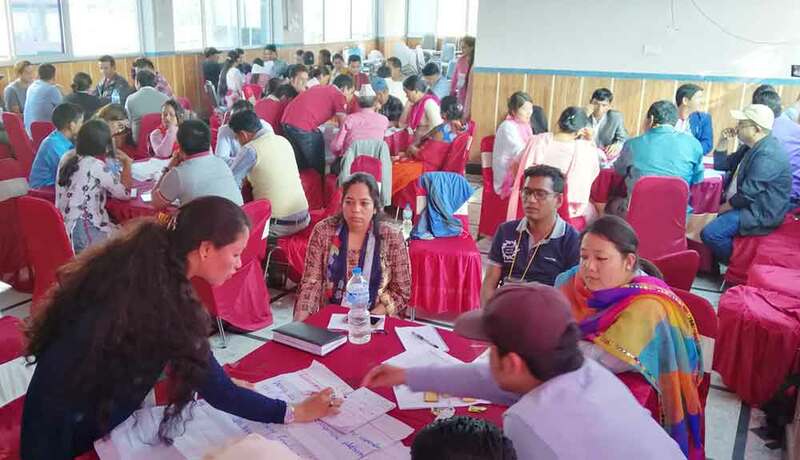 Binod Ghimire from Tearfund Nepal and Nibha Shrestha, Freelance Consultant facilitated the workshops respectively. 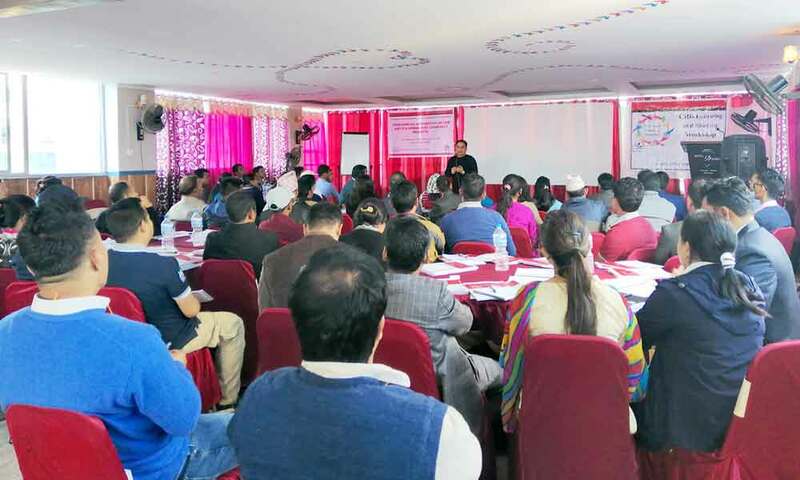 Mr Ghimire sensitized and made the INF staff aware on disasters, types of disasters, “Flagship 4” and its characteristics, National DRR and CCA plans, policies, acts, Emergency Fund Management and Core Humanitarian Standards. The discussion on INF’s Disaster Management Policy and Contingency Plan were done addressing the importance of preparing a Contingency Plan by the respective districts where INF is currently serving. Nibha Shrestha sensitized and introduced the INF staff to Knowledge Management for NGOs with an overview of its useful tool. 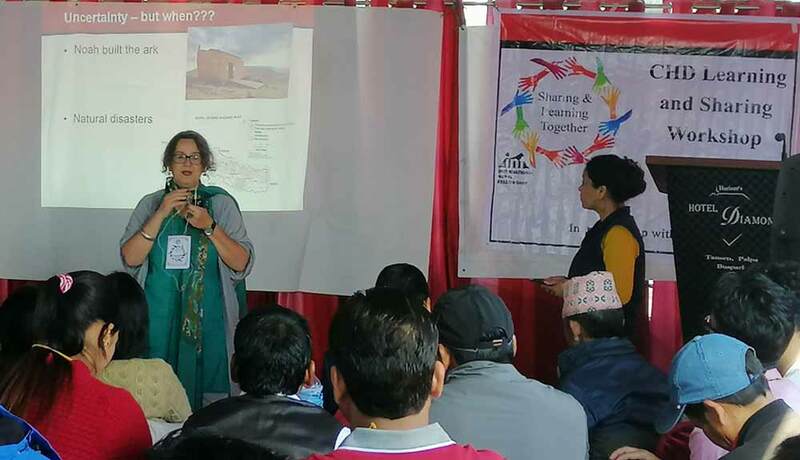 All sessions from both the workshops were equally fulfilling and informing for the people on the present INF context. The workshops were very participative with interactive sessions. These workshops have been the platform not only to learn to share and integrate but also to show the hidden talents of INF staff. In between the sessions, the participants showed their talents in songs, dances and magic tricks.